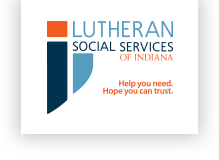 Lutheran Social Services of Indiana (LSSI) is looking for a Full Time Case Manager for Network for Safe Families. This position is responsible for home based visits to provide case management needs including helping families achieve goals and provide knowledge regarding community resources. 	Bachelor’s degree in social work or related field required. 	Valid driver’s license, in force auto insurance coverage, and vehicle required. 	Case management experience preferred. 	Community partners and/or Network for Safe Families experience preferred. Submit a cover letter and résumé by e mail to lssinmailbox@lssin.org or INDEED.com. ***All terms and conditions apply based on policies in LSSI Employee Handbook subject to change at any time.